Labels can be used effectively in many ways around the office and home and the following is a few novel ways in which labels can organize the life of most people. At home the use of labels in the kitchen and pantry can make finding and locating items easier if clearly labelled. The labelling will help the person avoid duplications of items that may be hidden between the other goods. By checking expiration dates the individual food items can be labelled for first usage. Grouping of similar goods and application of labels will ease this task. The use of baskets or bins with labels describing the contents is useful. The fridge is another area that can effectively use labels to indicate dates and contents of containers used in the fridge. This method of marking will prevent the storage of food items well passed their safe use dates. Cabinets can use labels to mark the allocated places where certain items should be placed to make later recovery easy and is extremely useful when asking someone to locate an item. The labels can be placed on the shelves or containers. Reminder labels stuck on a prearranged place in the home or office will ensure that important dates or meetings is attended to. Simple instructions can be left for family members or staff on labels to remind them of a task or request. Closets in the home is normally a disaster and the use of labels to create order is vital in organizing this area. Labels can further be used to indicate item not often used and prepare them for either disposal or other uses. The goods marked for disposal or donation is labelled and ready for the action selected. Media collections in the home or office is an ideal opportunity to effectively use labels to organize and create order among the collection of media. Labels will further make recovery of a specific piece easier to locate when the item is needed. When invited to a party or picnic the use of labels on your containers used to bring food or drinks is convenient for the later identification by the host or organizer. The contents of the average garage is probably the place where labels will be best used. Containers with small spares of various sizes or uses can be labelled for easy and speedy locating when urgently needed. These are just a few places that the use of labels in the home can save a lot of time while also giving the house an organized appearance. There is a wide variety of specialized labels designed to accomplice special tasks that call for something unique to be able to identify the product or service better. These special labels is now used in many applications of commerce and is recognised and accepted internationally. The piggyback label is a combination of two labels where the bottom layer is the backing of the top portion of the label. The top layer is removable and is widely use in the area of express post mailing envelopes. Other applications include price change labels used in department stores when scanning a sold item for the customer. Smart labels used in many retail organisations have RFID chips embedded beneath the stock labels for easy scanning of the goods. This application that is relatively new is getting more used by industry and commerce and this indicates that the trend will continue. The use of block outlabels are used in applications where the information is hidden under a strong grey adhesive material. The asset label is used in stocktaking situations to indicate and mark fixed and non-fixed items for inclusion on the balance sheet of companies. Many different warning labels is used in industry to label hazardous material or containers used in the storage of chemicals and radioactive waste. Vehicles carrying these hazardous goods is also clearly marked and these markings is internationally the same in all countries. Security labels is designed to combat anti-counterfeiting, brand protection of items and seals that prevents tampering of high quality goods. The amount of goods that are reproduced with famous brand names is increasing and this is a preventive measure to combat this crime. These labels include usage of overt and covert features in the label to make reproduction as difficult as possible. Images incorporated into the labels include watermarks, holograms, and barcodes and RFID chips. AntiMicrobial labels is used in medical facilities to indicate infection sensitive areas in the prevention of serious infections to patients. The fold-out labels or booklets is used in certain promotions when the original labels is too small to contain all the required information. This also ensures that all the labels are secure and separation or losing them is eliminated. As we can see from the above the use of labels in commerce and industry is a field that will grow tremendously over the next few years to maintain its place and uses in new technological developments. Whether it is your intend to create attractive colourful custom labels in order to promote your brand, or attract the desired attention to your products or services, we are here to serve your various advertising needs in the form of super eye-catching labels. It is within the power of our hands to organise any printing project quickly with easy to use customised labels from E Stickers. 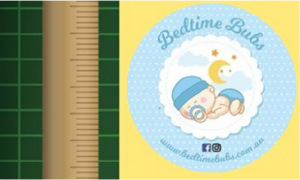 Now you can design and get labels printed in all shapes, sizes and quantity to your exact specifications. Our online editor literally takes you by the hand an allows you to create custom labels in any form or shape you desire. It is all too easy to simply upload your artwork, then add the desired text, background colours and graphics after which we will print out your masterpiece. 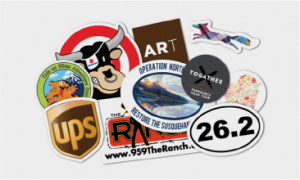 At E Stickers, you are in charge of making the best custom labels ever. You may be looking to enhance your personalised gifts, bottle labels, food labels, name tags or product packaging as you want to differentiate your brand from that of your competitors. What if we told you that it is all possible by means of our easy to use design tool that will allow you to make customised labels according to the precise size needed for your various products. As an example, you can use the online tools provided to make special labels for your laptop, phone, iPad or sunglasses. How cool is that? Our extensive image library makes it a breeze to upload images for your food labels, baked items, or any other product in any form, shape or size. Best of all, you can choose to use either white, clear or coloured vinyl and customise it according to your liking. Other uses would include wine labels, wedding invitations, thank you stickers, and more. What makes our custom labels so unique is the super high quality and glossy vinyl materials we use. Our customers are often surprised by the attention to detail our expert team displays when it is time to deliver the final product to them. Allow E Stickers to finalise your unique, eye-catching custom label so you can soon be driving sales. We take care of smaller orders to bulk orders for bigger businesses. Our professional team members are fully trained and adequately equipped to handle any request in terms of fulfilling orders for all types of customised labels in various quantities. To top it off, we are lightning fast with regards to our turnaround time.